I didn't get the opportunity to try the Cabin Zero Bag I was sent for review purely for hand luggage as my planned trip to Ireland with Easy Jet from Birmingham didn't go ahead but I did get to travel to Hong Kong and Dubai and back to the UK with it and I must say I was very impressed with the ease of comfort of carrying and transporting the bag. Available in different sizes and a variety of colours, I opted to have the Classic 44L - Ultra light Cabin Bag in Galactic Green, a great colour for spring. Not only did the bag have adjustable straps but I was able to able to alter them easily without having to take the bag on and off my back to do so. I also used the straps to secure the bag to my suitcase keeping it safe to and from the airport and save carrying it without worrying about safety. 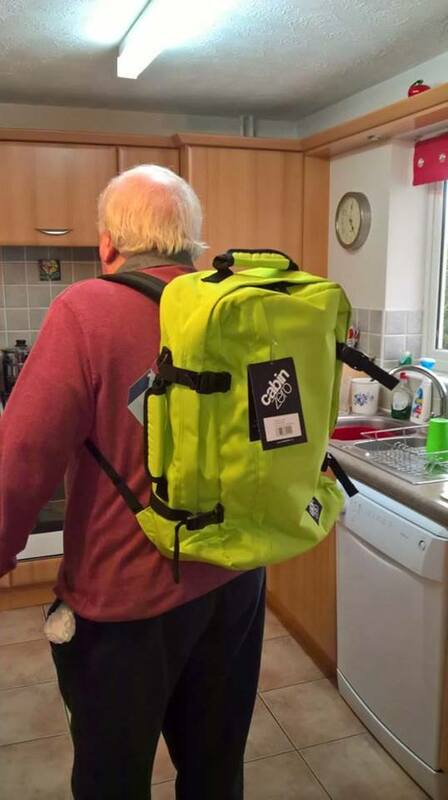 I felt comfortable and safe carrying it on my back whilst travelling as the zips were easy to conceal from view and adjustable side straps meant the bag would only open slightly. I asked my husband to attempt to get in the bag without me noticing and he wasn't able to do so. The zips also opened and closed with ease and with internal pockets it meant items didn't get caught in the zip on opening and closing. The bag fitted comfortably under the seat in front of me on the plane and as I prefer a window seat, it saved me from getting up and down to get various items from it during my flight. 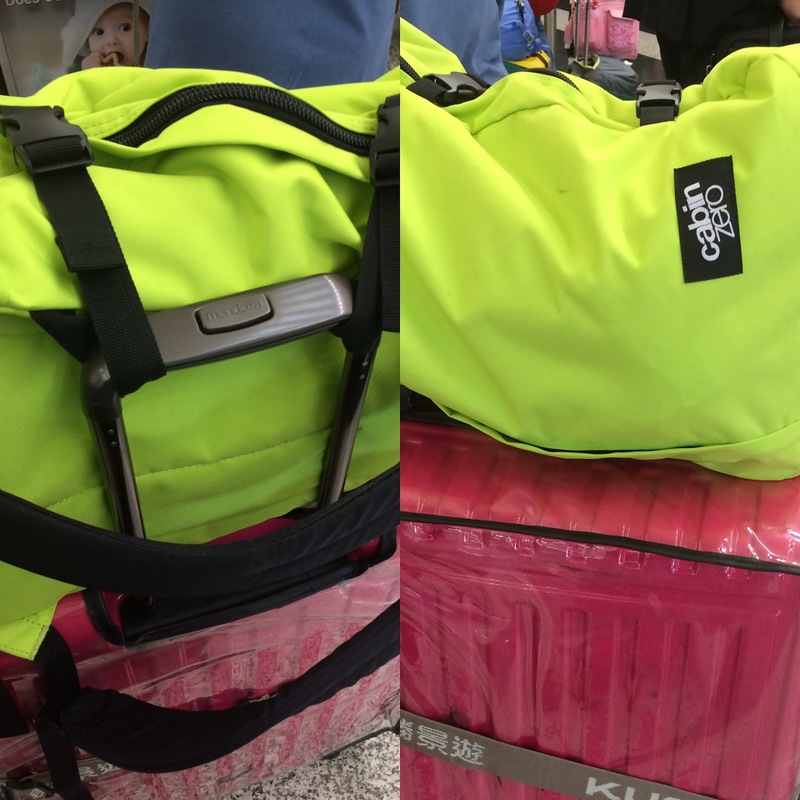 The Cabin Zero Bag and I flew over 23,000 miles in 31 days. I used it as a day bag at the Rugby 7's in Hong Kong, carrying waterproofs, spare clothing and my camera. It also meant in a crowd of 40,000 my husband was able to find me. It was used on the beach in Dubai. The bag is tough and easily cleaned, making life easier at the airport on a long lay over in Istanbul not having to worry about damage when freshening up in the toilets. Surprisingly not everything drops to the bottom of the bag when carrying it, due to the design of the internal pockets. At £60 it's a bag designed to last a while and it is worth the investment, due to the durability of the straps and zips. I've had cheaper bags in the past and they've only managed 1 long haul flight and 2 weeks worth of day trips before seams, straps or zips have failed. I think my recent travels and it's daily use have probably tested the bag to it's limits as a day bag and when I finally get to Northern Ireland in July, I'll let you know how it worked as a hand luggage only bag in regards to the using overhead lockers, ease of carrying the bag when it's full, as there is no weight limit with Easy Jet and how comfortable it is carrying for longer periods of time. Cabin Zero Bags are offering readers of this post a 10% discount by redeeming the code CZCHICKENRUBY over at this link. This sounds like a fantastic, versatile bag! I actually really love the colour too! We seems to have a luggage fetish in our house - all manner of bags and cases for all eventualities. I have to say, I love all the features of this one and the colour would appeal to my husband as he always opts for neon! Great to hear you went to the Rugby Sevens. We went to the finals at Twickenham last year and saw Scotland win - that was the 'best day ever' for my Scottish hubby. I wish I had a bag like that in my festival days lol. This sounds like a fab bag for travelling and I love not only the brightness to be spotted in crowds but the pockets that stop things getting squashed! This looks fabulous, hand luggage can be a nightmare, and as it fits under the seat in front that seems perfect!Love the colour too. Thanks for your informative Article on best under the seat luggage. I gather much information in your valuable article. Quite an amazing bag, covers everything inside it.